Hundreds of babies and small children in the Herts Valleys are not registered with a doctor, and could potentially be missing life-saving health checks. Doctors have warned children could be at risk of missing out on key vaccinations and checkups because their parents haven't signed them up with a surgery. 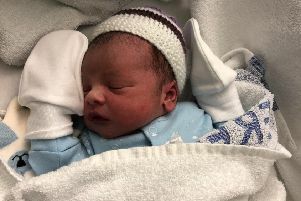 NHS figures show there are 38,768 newborns and children under five registered with GP practices in the NHS Herts Valleys Clinical Commissioning Group area. However, the latest ONS figures put the number of children aged four and under in the CCG's area at 39,117. This means around 350 children are not on a GP's register. Across England, more than 123,000 children - 4% of the population - are not registered with a doctors' surgery, the figures suggest. She said: “I find it deeply concerning that so many children appear to be unregistered with a GP, at a time where we are seeing an emergence of preventable and deadly diseases such as the measles, record levels of childhood obesity and its associated conditions, and with 34% of all child deaths in the UK considered avoidable – the vast majority of which are in infancy." Professor Viner continued: “Registering a child with a doctor can be life saving or at the very least, life changing. "It will mean parents get important vaccination and health check reminders, their child’s weight and development monitored and concerns acted upon quickly. "If required, access to specialist NHS healthcare can be arranged.